Do you know your warging from your white-walking? Can you tell the difference between the Old Gods and the New? You’ll need more than milk of the poppy to cure this unfortunate ailment. Admission is $5 per person with the top teams taking home a cash prize. 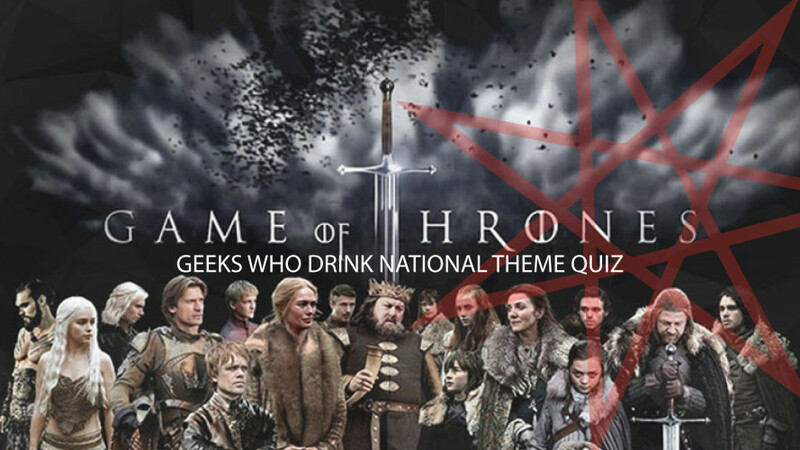 Your team is limited to 6 total players, and use of your cell phone, or any other aids, is strictly prohibited during the quiz. Cheaters will be disqualified and subjected to a gruesome death. Please arrive 30min-1hr early to select a table, and to order beer & food. Table service throughout the quiz. Food truck on-site.